The rocket, called ADMIRE – it’s not clear what the acronym stands for – is distinct from the Reusable Launch Vehicle programme also in development. 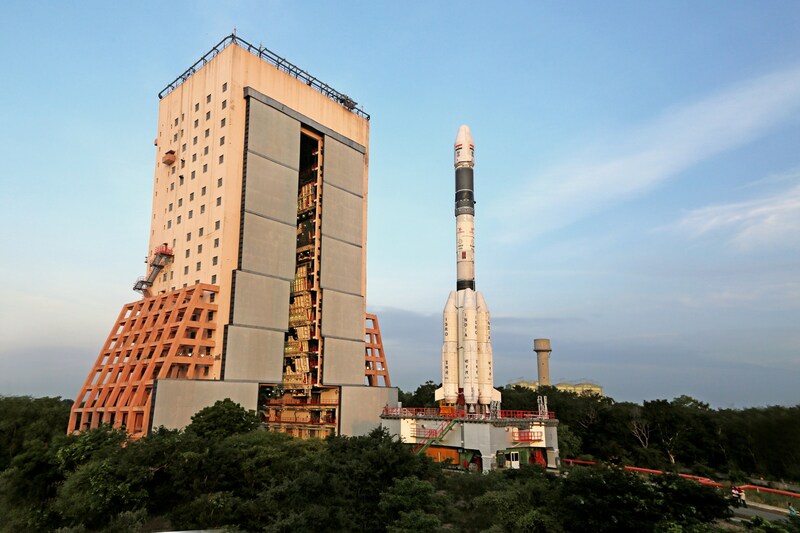 Bengaluru: A member of the Indian Space Research Organisation (ISRO) has confirmed it has made progress on its plan to test a new class of reusable rockets. B.N. Suresh, an honorary distinguished professor at ISRO, discussed some details of the ADMIRE project at a meeting of the Indian National Science Academy on December 26. And in doing so, he continues a vaunted tradition of announcing mission updates sans any advertisement and in seemingly random speeches made around the country. The test-rocket, called ADMIRE – it’s not clear what the acronym stands for – is distinct from the Reusable Launch Vehicle programme also in development. According to Times of India, Suresh told an audience of scientists that ISRO has plans for a test site and a test as well. These are expected to be off of its usual launchpad in Sriharikota, although the dates are unknown. ADMIRE looks like a two-stage launch vehicle. According to an image first seen in early 2018, it is shorter and narrower than the Polar Satellite Launch Vehicle and its first stage is fit with landing legs that include grid fins. Instead of lifting off, delivering the payload (if any) and coming straight back down, ADMIRE might possibly have to steer through the air using the fins and slow down a bit before firing retrograde propulsion thrusters. Apart from technical reasons, this is also necessary because of geography. The Indian landmass is surrounded by other countries. Depending on where above ground ADMIRE begins its descent, it will first have to get closer to India and start to land. Otherwise, it might drop over a different country. K. Sivan, ISRO’s current chairman, told The Wire in 2016 that the Andaman and Nicobar Islands could be a suitable landing spot if such a manoeuvre is ever executed. In fact, some have picked up on that ADMIRE resembles the liquid-fuel-powered L40 strap-on booster used on the Geosynchronous Satellite Launch Vehicle (GSLV) Mk II. This in turn triggered speculation about whether multiple ADMIRE-type rockets, working together in a cluster configuration alongside the Mk II’s first stage, could be used to recover it à la the Falcon 9. These ideas aren’t entirely unfounded. Sivan also said ISRO itself was “very seriously” thinking about it. Suresh also reportedly said at the meeting that the ADMIRE vehicle will be fit with “a laser altimeter and a NavIC receiver” – both technologies developed and included in the upcoming Chandrayaan 2 mission. But at the same time, ISRO hasn’t clarified whether ongoing Mk II launches are being modified in any way to provide data for the ADMIRE project. It is even possible that the R&D exercises associated with ADMIRE may not ever result in a functional vehicle. On the other hand, ISRO does plan to deploy the Reusable Launch Vehicle, or RLV, probably by 2030. The RLV is more along the lines of the emeritus NASA Space Shuttle and embodies a competing paradigm of reusable rockets. While ADMIRE uses the vertical-takeoff and vertical-landing model, the RLV functions like a spaceplane. A potpourri of announcements in the past have indicated that the RLV will be powered by five semi-cryogenic engines, letting the vehicle carry at least 10,000 kg to the low-Earth orbit. When coming back down, it is known that the RLV will use a scramjet engine to land like an airplane on a special runway many kilometres long. 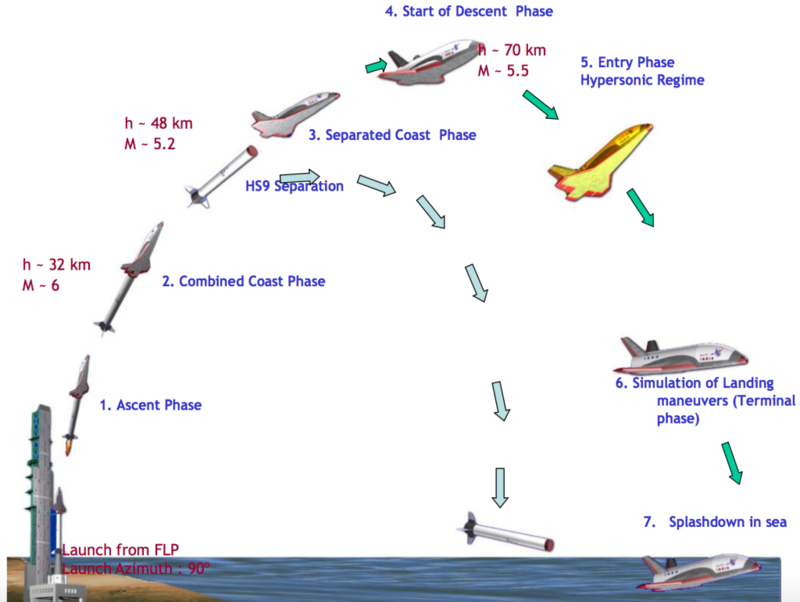 As part of its development, ISRO conducted a technology demonstration (TD) in May 2016, where a downscaled prototype of the spaceplane was carried 65 km by a rocket booster, after which it dropped back down into the Bay of Bengal. In August the same year, ISRO also tested the scramjet engine, onboard an RH-560 sounding rocket. A second TD is expected to happen later in 2019, where another RLV prototype will attempt to land like an airplane after descending from a great height. Screenshot from a presentation made by M.V. Dhekane, deputy director of the Control Guidance & Simulation Entity, VSSC, in 2014, illustrating the sequence of events in the May 2016 TD. Evidently, the RLV programme is farther along than the ADMIRE programme. In the last few years, international competition in terms of reducing launch costs and lifting heavier payloads to orbit has stiffened considerably, and space agencies around the world are racing to capture bigger slices of the market. This is precisely why ISRO itself has fast-tracked the development of its Small Satellite Launch Vehicle, a dedicated launcher for small- and cubesats with a very short turnaround time. In this framework, it’s likely that ISRO will build and use the RLV even though it is also working on the competing ADMIRE design. And ADMIRE itself might yield a proper launch vehicle only in the very-long-term.